If you're thinking of buying an income property or a vacation rental on the Central Oregon Coast, Mary is a past owner of beach vacation rental properties and formerly owned a vacation rental company, so she has the knowledge and experience to assist you with purchasing Oregon coast real estate. There are restrictions on rentals in several areas, so if owning an income property is your goal in the Roads end, Depoe Bay, or Lincoln County area, Mary has the experience to assist you. For advice on second homes in the Lincoln City area, vacation homes, 1031 exchange, or beach investment property, call, text, or email Mary and you'll get an answer. Mary specializes in Depoe Bay and Lincoln City Oregon Real Estate and that includes the communities of Little Whale Cove, Bayview, Gleneden Beach, Salishan Golf Course, Lincoln Beach, Roads End, Olivia Beach, Belhaven, Bella Beach and Villages at Cascade Head. Her area also extends south to Newport, Waldport, & Yachats and north to Neskowin, Sahhali Shores, Cloverdale and Pacific City. Buying a home or property on or near the beach? The Real Estate market in Lincoln City, Oregon is saturated with a fine selection of homes, it's a great time to buy! And if you're a seller with a single level Ocean view home in the Lincoln City area, you may have just the piece of Lincoln City real estate on the Oregon coast that people are looking for. Call Mary today! Use Mary's map tool to assist you with your search for Real Estate on the Central Oregon Coast. Looking for Central Oregon Coast real estate foreclosures? Click here for Lincoln County Bank Owned Listings . The payoff for quality service is in repeat business and referrals given to friends by customers. Fifty percent of Mary's business in the Lincoln City area comes from referrals and repeat business. Searching for a home on the Oregon coast? 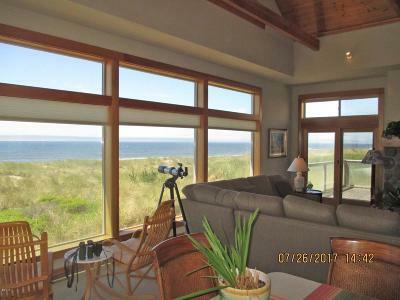 Use this great MLS Search tool with maps to search for Oregon Coast Real Estate. Searching for a home can be a time-consuming and tedious process. Sign up for "Latest Listings", provide a few parameters and Mary and her assistant can provide you with a "HOT SHEET" nightly of everything activated in the MLS system during the day that meets your criteria. New properties will be automatically E-mailed to you every evening. Buying or selling a house can be a daunting experience. That's why Mary has assembled a wealth of information and tools to assist you with all of your Real Estate needs. If you're thinking at relocating or looking for advice on home buying or commercal property, Mary has 13 years of top producing sells experience in Lincoln City Oregon Real Estate to assist you. "As a top Lincoln City, Depoe Bay and Pacific City, Oregon Coast REALTOR®, I have the experience and track record you are looking for. If you're searching for an Ocean front or ocean view property in the Lincoln City area on the Central Oregon coast, I'm on your team. Please let me help." Welcome to the premier resource for all real estate information and services in the area. I hope you enjoy your visit and explore everything my realty website has to offer, including Lincoln City real estate listings, information for homebuyers and sellers, and more About Us, your professional Lincoln City Realtor.